The financial industry has been enjoying arrange of money counter machine from as early as the 1920s when the machine was first introduced. Over the years, technology has significantly advanced in this field. Today, we have highly effective money counter machines that are doing a wide range of functions. The modern machine has advanced based on the needs of the market. Apart from just counting, the modern machine can also sort various dominations. That is why we have hybrid machines such as the money counter and sorter machine. The money counter and sorter is a special kind of machine that is a hybrid of the two models- money counter and money sorter. There are many advantages that come with this kind of machine. 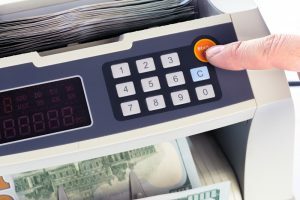 Here are some of the reasons why businesses should consider this model of money counter machine. One of the biggest advantage that the money counter and sorter machine have to the user is the convenience. It is a combination of two machines, and that makes it easy for a business to operate with just one machine rather than a couple of them. With this machine, you will be able to count the number of bills and also sort them in different denominations. That is a function that you don’t get from the other machines. That is how the machine manages to provide business with a lot of conveniences. For any business, reducing the cost of operation is one of the crucial things that you need to consider. That is why investing in a type of machine that offers relieve on the cost of operation is a smart decision. By investing in a money counter and sorter machine, you will be reducing the number of machines as well as the cost of labor. That is because, with two machines, you will also need two people to operate them. That is just one way the cost of operation is reduced. As a businessperson, the cost of maintaining your machines is crucial. It will eat into your business profits since it will be part of the expenditure. It is important to note that the larger the number of the machine you have, the higher is the cost of maintenance. If you have a money counter and money sorter as two separate machines, then you have two machines to surface. But the with money counter and sorter machine, the cost will be of one machine. That is one way that this machine helps business to reduce their cost of maintenance.